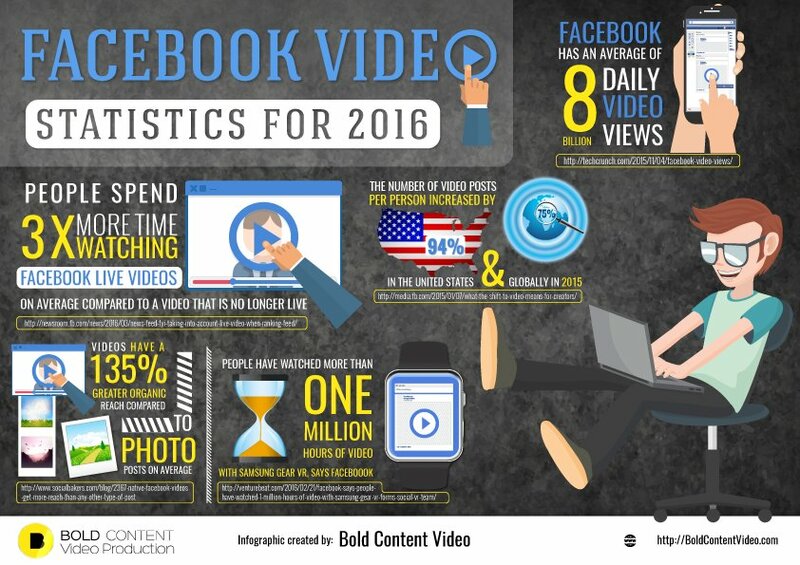 The number of video posts per person increased by 94% in the USA and 75% globally in 2015. Facebook now serves a staggering 8 billion video views per day – that’s double the amount the video content users were consuming in early 2015. People spend 3x longer watching Facebook Live videos compared to those that are no longer live. Live is not the only type of video content getting a lot of exposure on Facebook – video posts in general reach a larger audience, on average. Sources: Facebook Newsroom 1, 2, Techcrunch, Social Bakers, Venturebeat.